QSI has been using a new LC-MS/MS method for the determination of amitraz (including its metabolites) in honey since the end of January 2018. The method provides significantly higher values for amitraz, which is legally regulated in the EU with a maximum quantity of 0.2 mg/kg as a veterinary medicinal product and as a pesticide. 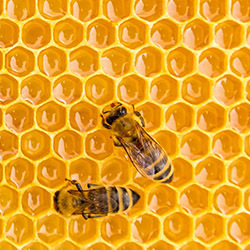 The values obtained with the new method better reflect the real contents of amitraz in honey according to new findings than with the classical method, which rather underestimated the contents. In the newsletter we examine this topic from an analytical point of view and especially against the background of organic products, in which even small traces of Amitraz are problematic, since it is not permitted in organic beekeeping.